This Pulitzer Prize winner is the basis for the upcoming Hulu series starring Peter Sarsgaard, Jeff Daniels, and Tahar Rahim. Lawrence Wright graduated from Tulane University and spent two years teaching at the American University in Cairo, Egypt. He is a staff writer for The New Yorker and a fellow at the Center on Law and Security at New York University School of Law. The author of five works of nonfiction—City Children, Country Summer; In the New World; Saints and Sinners; Remembering Satan; and Twins—he has also written a novel, God’s Favorite, and was cowriter of the movie The Siege. He and his wife are longtime residents of Austin, Texas. 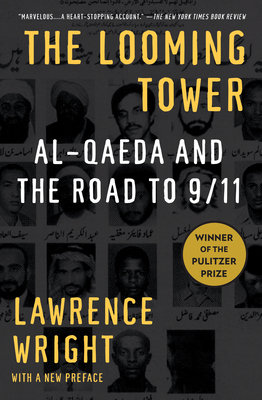 "Lawrence Wright's integrity and diligence as a reporter shine through every page of this riveting narrative."